It’s been a big month for Lionel Messi. 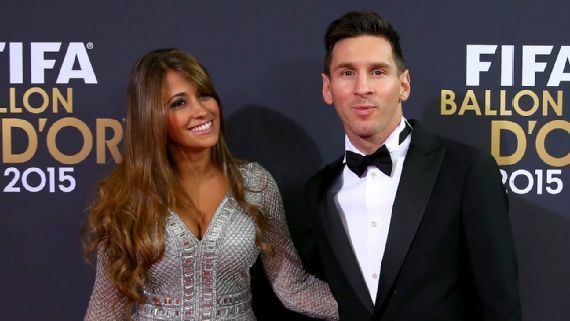 The Barcelona star turned 30 last weekend and on Friday, taking advantage of the fact he’s not involved in an international tournament this summer, he will marry longtime partner Antonella Roccuzzo in Argentina. Here’s everything you need to know about the couple’s big day. Lucas Scaglia was one of Messi’s teammates while he was still living in Rosario and playing for Newell’s Old Boys. Their relationship extended off the pitch, too: as kids, they spent a lot of time together. It’s said that Messi had an ulterior motive for hanging around with Scaglia, though: He fancied his cousin. It’s likely those stories are true, because Roccuzzo is Scaglia’s cousin. 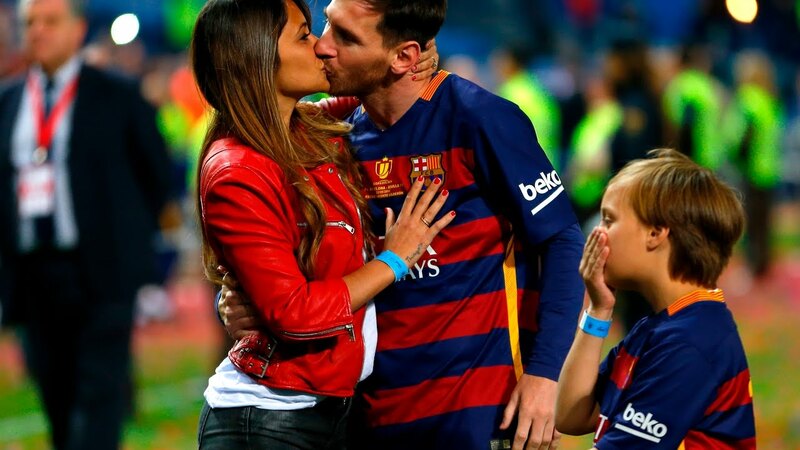 Various reports say Messi was love-struck from the moment he first laid eyes on her as a young boy. Childhood friends say his face would change when she was around and that he used to write letters to her. However, they were never officially in a relationship while Messi was living in Rosario, and it’s unclear when things actually began. Messi has never spoken in depth about the subject; he didn’t speak about it at all until 2009, when as a 21-year-old he confirmed in an interview with Catalan channel TV3 that he had a girlfriend. Diario Sport say Roccuzzo’s friends learned of the relationship in 2007, while other reports say the couple began dating in 2004. What can be confirmed is that Roccuzzo left Rosario for Barcelona in 2010, moving in with Messi just before the World Cup in South Africa. 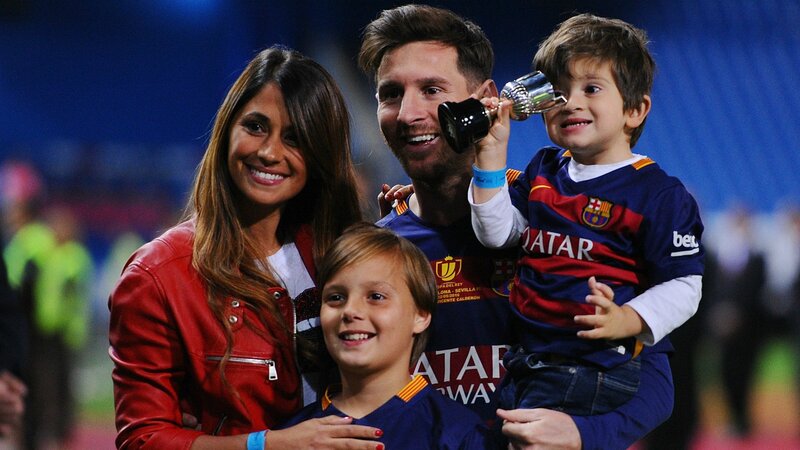 Since then, the two have had two children together, both boys, Thiago (4) and Mateo (1). On Friday at 7 p.m. local time, the childhood sweethearts will tie the knot in the City Centre Complex in their native Rosario. The reception will then be held in the same complex at the Pullman Hotel, a 188-room, five-star hotel that boasts an on-site casino. According to Madrid-based Diario AS, a big screen will be erected outside the venue so fans can watch the ceremony from a safe distance. Despite spending over half of his life living in Barcelona, friends told Sport that there were never any doubts that he and Roccuzzo would wed in their hometown. As well as the couple’s respective friends and families, there will of course be a number of the world’s best footballers among the 260 invited guests. Every single member of Barca’s first-team squad received an invite, though not all will be able to make it. Marc-Andre ter Stegen, Andre Gomes and Denis Suarez have international commitments, while others have other reasons for not attending. Andres Iniesta, for example, excused himself following the recent birth of his third child. Luis Suarez and Neymar will be there, though, and Gerard Pique and partner Shakira are also expected to be present, although it’s not been confirmed. There had been doubts whether they would go and speculation about Shakira’s relationship with Roccuzzo, but the popular singer said recently she would be there if she could. Former teammates Ronaldinho (who can’t attend), Deco, Cesc Fabregas, Dani Alves and Xavi Hernandez have also been invited. Away from the Barca clique, Argentina teammates Sergio Aguero, Ezequiel Lavezzi and Angel Di Maria are all said to be on the guest list, too. You don’t have to be famous to have received an invite, though. Diego Vallejos and his family are among the Rosario natives who will be at the wedding. Despite being a childhood friend of Messi’s, Vallejos admitted that he was still surprised to be among those invited. None of the guests are expected to bring presents, though. Messi and Roccuzzo have requested that, if they wish, they should instead make a donation to the Leo Messi Foundation. A menu leaked by Diario Clarin reveals what those present at the wedding on Friday can expect to eat: a feast. Through working with Giuliano Poser, an Italian nutritionist, in recent years, Messi has gradually been able to wean himself off milanesas, pizzas and burgers, replacing them with a healthier desire for foods like sushi. However, on his wedding day that all goes out the window — although there will be a sushi station, too.  There will be a delicatessen featuring bread, salads and cooked meats to start followed by a number of traditional Argentine dishes, including empanadas, a “locro” stew and, of course, steaks. Once fed, attention will no doubt turn to drinking and entertainment. Rombai and Marama, two bands from Uruguay, will be performing, as will Argentine singer Karina Jesica Tejeda, who is also known as “La Princesita de la Musica Tropical” and is the partner of Manchester City and Argentina striker Aguero. Some guests, though, may be happy enough to pass their time in the casino. The security detail will be almost as big as the guest list, if not bigger, depending on which reports you believe. Sport say Messi is keen to provide those invited to the bash with the utmost privacy and to do so has enlisted the help of a security team of around 300 people, including local police. AS don’t detail numbers but say security will be handled by the same private team of Israeli specialists used by Messi for his various excursions around the world. In addition to security, more than 100 journalists have been given permission to cover the wedding. None, though, will be allowed access to any of the guests on the night.